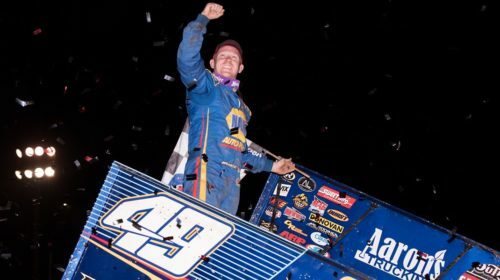 PLACERVILLE, Calif. – Brad Sweet cashed his own $20,000 check on Wednesday night at Placerville Speedway, passing Rico Abreu early and then holding off Sheldon Haudenschild on a green-white-checkered restart to win the 49er Gold Rush Classic presented by Riebes NAPA Auto Parts. 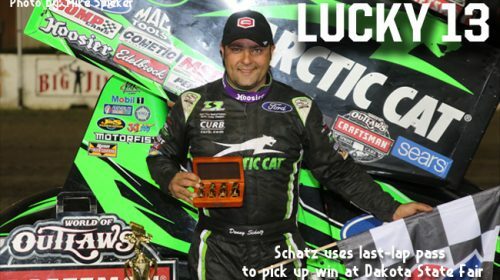 JACKSON, MN – June 9, 2018 – When big money is on the line, Donny Schatz and the Tony Stewart Racing No.15 team find an extra gear and that was the case on the final night of the AGCO Jackson Nationals at Jackson Motorplex. 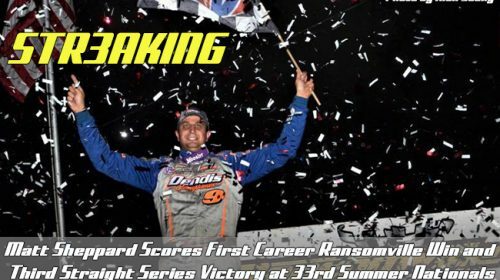 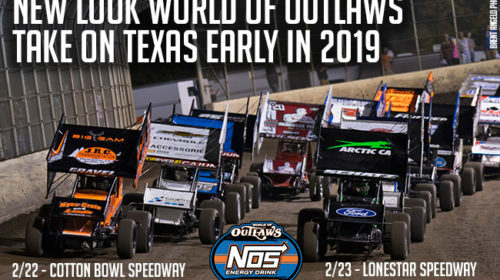 Schatz came from seventh and prevented a Jason Johnson sweep of the weekend, overtaking the Eunice, LA native on Lap 18 to capture the $40,000 prize. 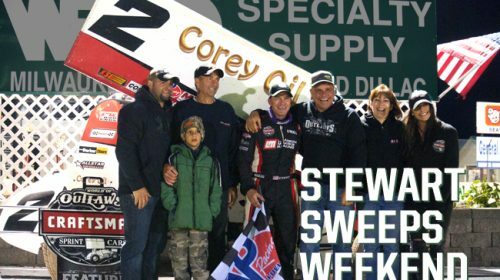 Johnson was resilient but settled for second with Brian Brown completing the podium. 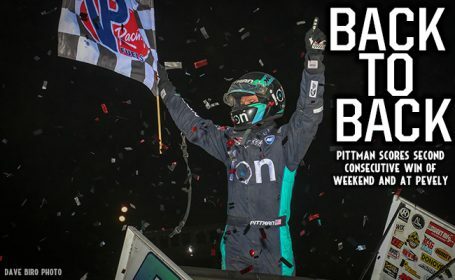 PEVELY, MO – April 21, 2018 – Daryn Pittman got underneath Sheldon Haudenschild to lead Lap 31 en route to his second consecutive World of Outlaws Craftsman Sprint Car Series win of the weekend and second in a row at Federated Auto Parts Raceway at I-55 in Pevely, MO. 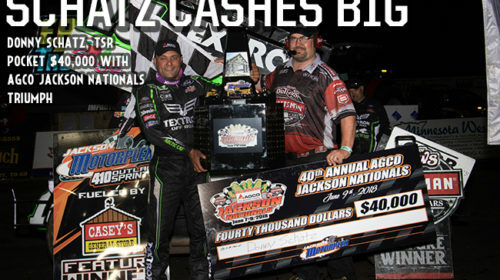 Donny Schatz finished second and long-time race leader Sheldon Haudenschild completed the podium. 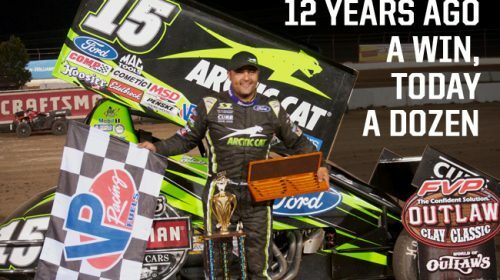 JOLIET, IL — June 27, 2017 — Eight-time champion and current points leader Donny Schatz took the Tony Stewart/Curb-Agajanian Racing No. 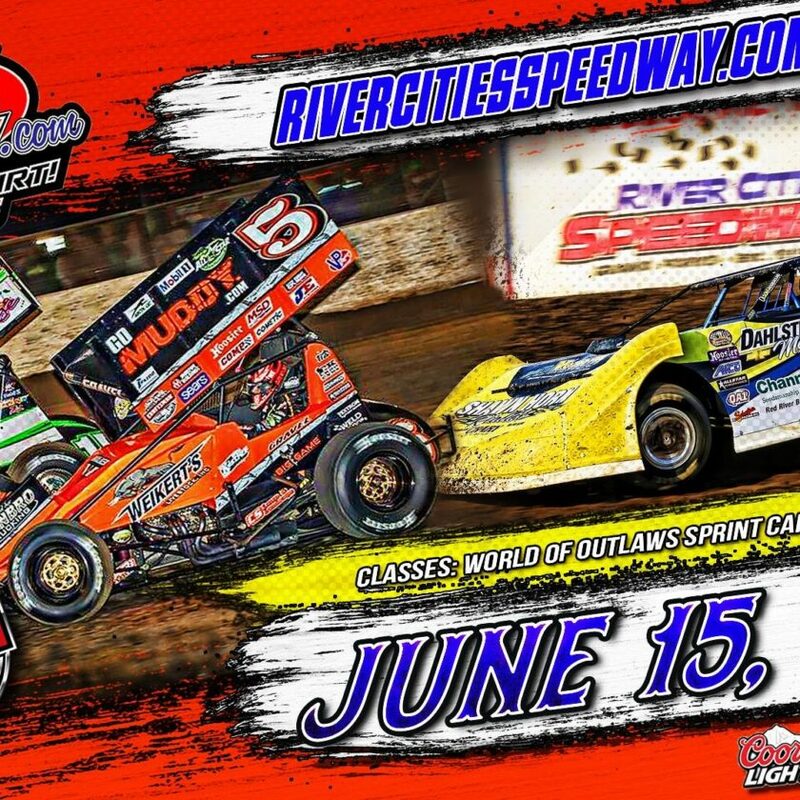 15 Arctic Cat machine through the checkers to win the FVP Outlaw Clay Classic at The Dirt Oval at Route 66 Raceway, stealing the lead from Kraig Kinser with only five laps to go. 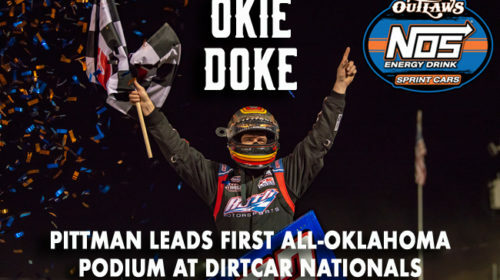 Although Kinser saw his best race of the season to date, Schatz rode him hard, and he ultimately landed in eighth with Kasey Kahne Racing teammates Brad Sweet and Daryn Pittman following Schatz through the checkers.